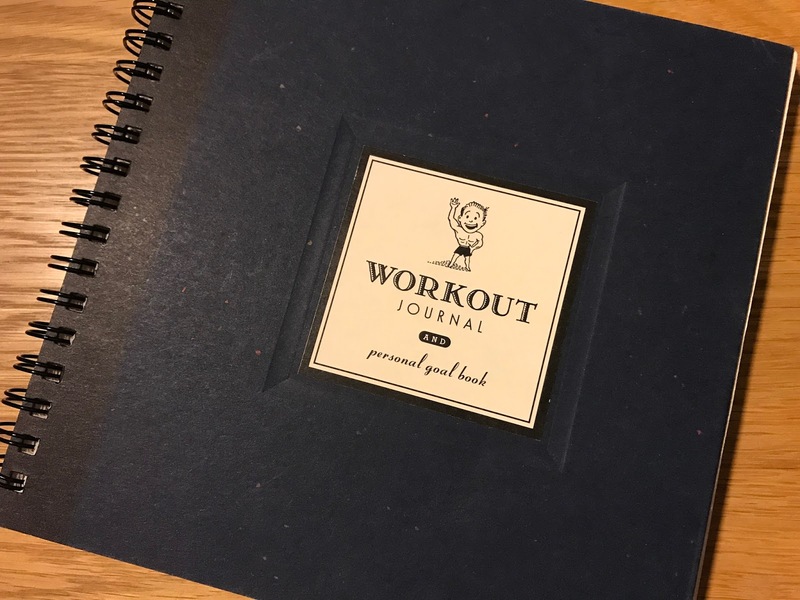 Towards the end of each year, I do a little exercise reflecting on what was important to me in the previous twelve months, and where I want to focus my attention and effort in the following year. I call these 'directions'. They are definitely not SMART goals, nor are they resolutions. 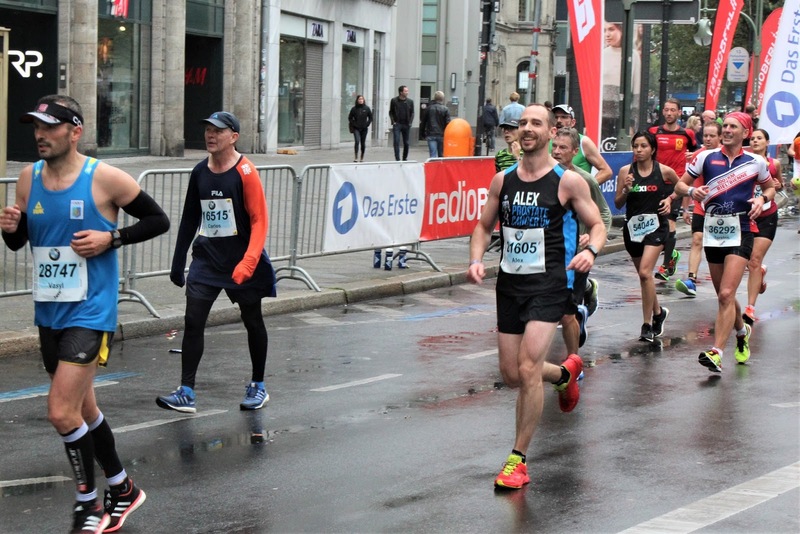 A SMART goal would be something like 'run the Berlin Marathon (on 24 September) in a time of 3:15 or faster', while a resolution might look like 'run five times a week'. Instead, they mark a direction I want my life to take. After a couple of years of injuries, I was feeling in a rut with regards to exercise. What had been an essential part of my self-identity throughout my life was missing. I do sport, I am a sportsman. I'd somehow forgotten to be me, and I wanted to get back on track. Signing up for the Berlin Marathon set me off on my new journey. My previous best marathon time was 3:32, and I thought - with the right training - I was capable of beating 3:15. I was relatively unfit a year ago, but with the right training over the nine months ahead, I believed I could get there. I determined to hit a 45-minute 10km in March, a 90-minute half marathon in June and then the 3:15 marathon at the end of September. Spoiler: I failed in that specific goal. Running was only part of my ambition. I wanted to 'get super fit', a deliberately vague term, which I intended to mean make progress across a range of fitness standards: strength, speed, stamina, flexibility, agility.... And to be able to participate in whatever physical activity came around, just as I always had. I'd been a member of a gym for aeons, but on average I was only going about once a month. In the distant past, when I was playing rugby, I loved going to the gym. I found an excellent personal trainer, and we enjoyed working together. But fastforward to a year ago, working alone and without a specific objective, I was finding the gym boring. My gym was a couple of miles away. I'd joined it years before when I lived nearby and I went along quite regularly. When I moved home in 2014, because it was very cheap, it was hard to give it up, even though my attendance was now very poor. 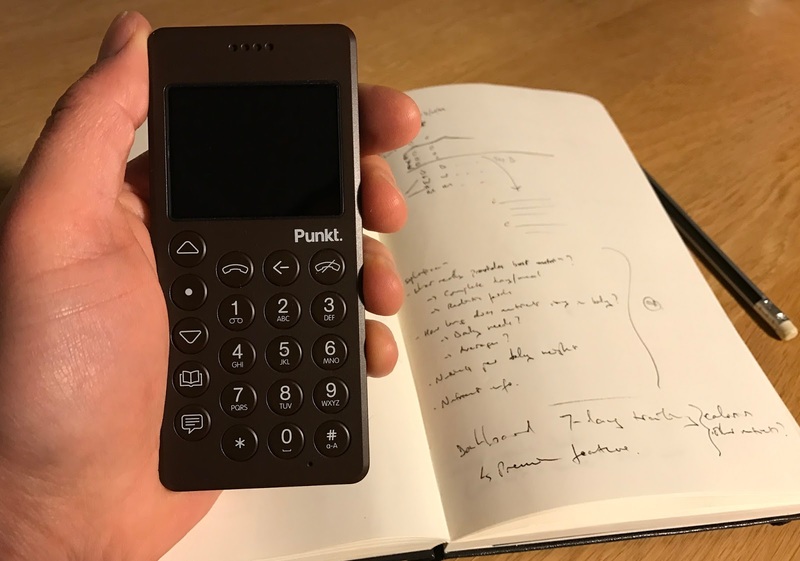 At £15 a month, if I just went once a week, I figured, the cost would be down to about £3.50. But in the dark of winter, my motivation to run up to the gym where I would be bored was lacking. I began to take a look around at gyms closer to home. Idly browsing through Netflix, before I cancelled my subscription, I came across an awe-inspiring documentary about the CrossFit Games. So yes, on the one hand, I discovered CrossFit through Netflix; on the other, I inhaled 65 hours of Breaking Bad in just four weeks. I'm almost in tears thinking about all that I could have done during those 65 hours. This high-intensity, short workout makes you sweat hard and it's fun. 'Scaling' is an important concept in CrossFit. You take a workout and if you're not up to the prescribed standard, you can modify the movement, the measure and the volume. For example, 50 thrusters at 20kg, could be scaled to 25 (lower volume) squats (easier movement) without load (reduced measure). I got hooked. I signed up for the next introductory sessions, and soon I was paying ten times for my gym membership to what I was paying before, but I was attending 13 times a month. For me there are a number of factors that make it highly addictive. Every session is coached. 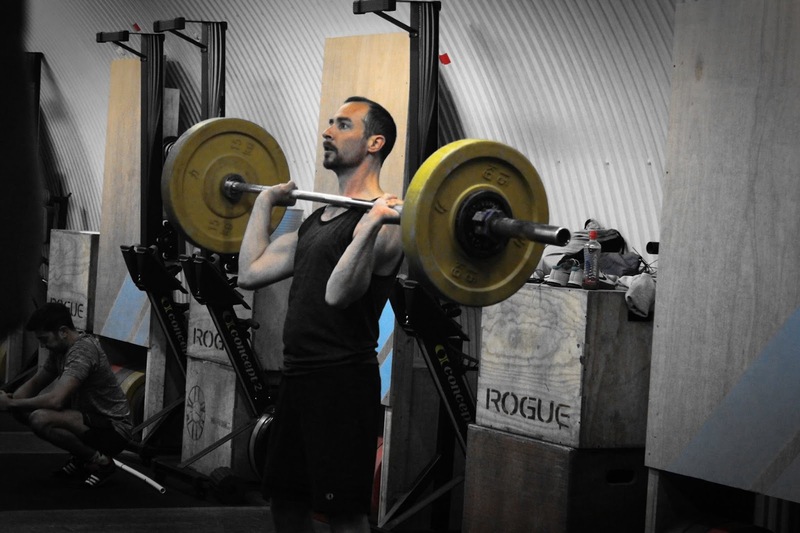 You book a one-hour timeslot, and a coach guides you through the WoD - Workout of the Day. They prepare you for the actual workout, guide you through the technique to maximise performance and avoid injury, and keep an eye on each person, providing feedback as you go. Gradually - actually pretty quickly - you begin to notice the effect. And as you progress in fitness, you begin to learn more, so that the movements that you scaled down, you begin to do in earnest. This year, amongst other things, I've learned to do handstand pushups - pushups while in a handstand - and double-unders - skipping with the rope passing twice under your feet between jumps. I'm still not 100% proficient but it feels exciting to improve in ability and to learn new movements, even at my 'masters' age. But because there are scaling options for every movement, and the coaches will take you through the progression from easiest to hardest, anyone is capable of starting. There's variety in each workout. Part of the CrossFit ethos is to be able to take on whatever physical challenge is thrown at you. Jackie has three fairly different movements in it: rowing, thrusters and pull-ups. Kelly is quite different, involving running, box jumps and wall balls, although the running gets harder with each round as the box jumps and wall balls take their toll. The idea is you put one minute maximum effort into each of them then move straight on to the next movement. At the end of the five, you take a one minute break and then go again, for a total of three rounds. There's also a five-round version. None of the movements is difficult, even if they have these obscure names. You quickly learn what they are: at the start of the session the coach will take you through the movements and prepare your for the specifics of each one. Because every session is coached and limited to a specific number of people, and generally people will attend sessions at roughly the same time, you get to see the same people and form something of a community. You also get to know the coaches. Our box had a Christmas party, to which all clients were invited. I've never before been a member of a gym that does that. At our box, you sign up for a session, and if you don't attend or cancel three hours before the session, you lose the appointment. You have a limited number of sessions per month, and you don't want to lose them. When 7pm comes around and you feel a bit tired, you don't have to drag yourself to work out, there's a pull coming from your fixed appointment. So, at the start of the year, in the cold and dark of February, when I was supposed to be training for a 10km race, I was going to CrossFit much more than putting on my running shoes. So how did the running go? I ran the Regent's Park 10K on 2 April in 44:20. That's a long way off my best, but was below the 45-minute target that I'd set myself. I'd been on a grand total of six runs in the two months coming up to it but I was doing CrossFit three times a week. A month later, at the start of May, I ran the same course again. I upped my training to about 5 times a week, with a minimum of two runs a week, except around Easter weekend, which I'll come back to later. 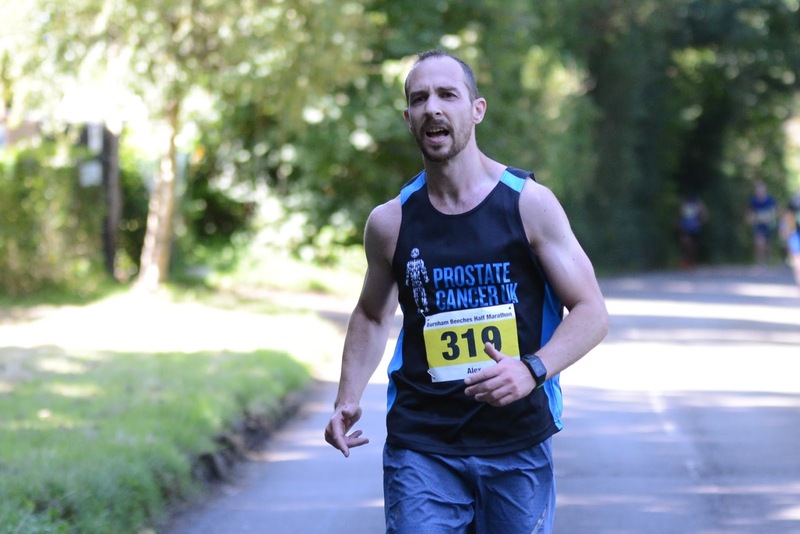 I felt fitter going into the race, and so it proved. I knocked nearly two minutes off my time, finishing in 42:38. Still not a PB, but well on track. And then at the start of June, right when I should have been starting my 16-week marathon training plan, I went away on holiday for two weeks. The GR20 is well-known in France as a particularly gruelling hike of nearly 200km over the beautiful Corsican mountains. I'd first heard of the route ten years ago, while on an active holiday of scuba diving, hiking and eating. The desire to complete the route had been lying dormant in my imagination all this time, until I was inspired by a dozen intrepid adventurers recounting tales of their expeditions at an event in March appropriately named A Night of Adventure. I booked my flights at once. On Easter weekend, I got my old kit together, plus a new backpack, and hiked 80km of the Pennine Way in the Yorkshire Dales. One of my tent poles snapped, as I was pitching my tent on the first night in driving wind. I was able to repair it. On the second day, I could barely see where I was going as I was lashed by horizontal rain for about 20km. It was miserable; it was perfect. I thought, if I can do this, Corsica will be a breeze. By the end of the third day, my old boots were falling apart. Corsica was not a breeze. Physically and mentally, it was very testing. I was quite often terrified of falling, and it was reported that one man fell 15m on the section that I was to be doing the next day. Carrying around 20kg on my back up and down steep tracks, with very uneven ground was challenging. By the end of the trek, I'd lost 10% of my bodyweight. Too much, too fast. While I looked lean, I'd almost certainly lost some of the muscle I'd gained in the previous months. The question now was whether all that physical work, the mental break and stimulation, and the Vitamin D boost would pay off for running. I got straight back into running on my return with a couple of gentle little runs. I had to cut short a CrossFit session with knee pain, but I was ok to do a 10km training run two days later. Within a week of completing the GR 20, I'd been on three runs totalling 20km. The week after I ran three times totalling 33km, as well as going to CrossFit three times. And a week later, I ran the North Downs Way half marathon. It was an arduous trail, and it was hot. My stomach was cramping by the end, and in the last few hundred metres I was overtaken by lots of runners. The time was irrelevant, and wouldn't allow me to gauge how fit I was. It was the wrong race: a mistake in my training plan. Yet it somehow felt good, once I'd eaten about 2kg of Haribo. Entering the sixth week of the 16-week training plan, I was off course, and didn't know where I stood in relation to my goal of hitting a sub-3:15 marathon time, and gaining guaranteed entry into the London Marathon. I had a goal, and a plan, and I needed to execute it. Now, at the half-way point, it was crucial to be upping the mileage. But due to the half marathon over uneven ground, with a few short and sharp ascents and descents, I was suffering niggles that could easily become a full-blown injury, and rule me out of the marathon altogether. I cut right back. My training log is full of entries with cancelled or abandoned training runs due to 'niggles'. In place of a 10K, I noted a 5K 'being careful'; for a 24K, 8K 'being careful'. But I didn't stop altogether. I ran shorter; I ran slower. July was largely a write-off but I still had time. The pains slipped away, and I entered another half marathon in the middle of August. This time Burnham Beeches. Far from a flat course, on another warm summer day, I set out with a reset objective of running 1:33:31. I felt strong from the start. Too strong, actually, too much endorphin. I ran the first 10km in 43 minutes, just a few seconds slower than the 10km race back in May. The second half taught me a lesson. I finished in quite a lot of pain, that final uphill mile seeming never-ending. I finished in 1:35:54. Outside my goal; outside my PB. Six weeks to go to take 18 minutes off my previous best over marathon distance. By now I should have done a couple of 20-mile runs, but the longest were the two 13-mile half marathons. I ran a 15-miler the week after Burnham Beeches, but an 18-miler a week later was cut short to 16, after I tried running on the hottest day of the year without water. Another lesson learned. At the end of week 13, I got up to 20 miles, but it was now time to cut back in order to hit the start line fresh. I ran 13 miles the following Sunday, and 6 miles the week after that with seven days till the starting gun. I had switched out of the high intensity CrossFit activities, and it was absolutely the right thing to do. There is no real stamina work in CrossFit. While it helped me with my 5K, 10K and to a lesser extent half marathon, the marathon is a different beast altogether. Instead, I was doing much more cross-training, especially long rowing efforts, which continue to train the legs for long distances without the impact of running on a hard surface. Some elite ultra-marathon runners are now advocating no cross-training at all. I didn't break 3:15. On a rainy day at the end of September, I ran a PB of 3:22. It felt good to have run a better time, but I had missed the main goal. My training had been less than perfect. The conditions on the day were less than perfect. My start position in the 3:30-4:50 pod was less than perfect. Some of this was outside my control, but the major factor was inadequate training, and I could have done better. The direction I'd set myself was principally 'get super fit', and I was progressing along that journey. 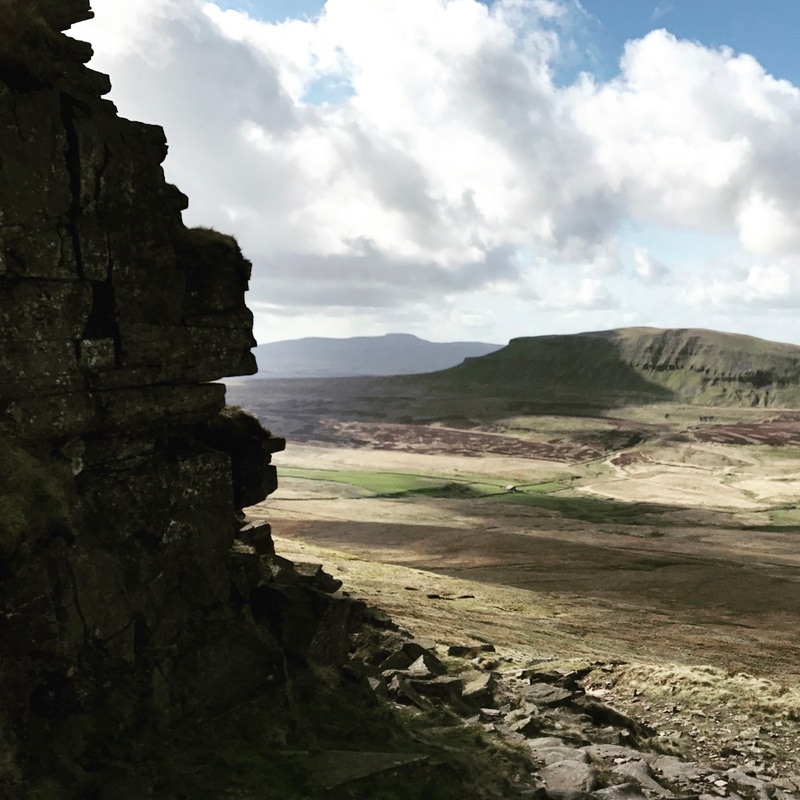 Not only had I just run the best marathon of my life, aged 42, I had done so while also improving my overall fitness, learned some new skills and I'd undertaken a challenging and memorable hike. I am also pleased with the specifics of my pre-race preparation. I'd given my body time to recover from training. I ate correctly, ensuring adequate calories. I'd been for a little jog the day before to loosen up and to recce the start line, so the shambles of 40,000 people milling about wouldn't faze me. I brought the lesson from Burnham Beeches, and slowed myself down in the first half to ensure I could make it to the end. My fueling during the race was good too. The experience of Berlin had me hyped. The major shortfall in my training had been long runs. Well, now I had a 26-mile long run in the bag. So I looked for the next marathon to hit my target and I signed up to run Valencia six weeks after Berlin. I was advised by a more experienced friend to be cautious, but I ignored the advice, which proved to be right. My body hadn't recovered, and I felt sluggish in training. So I didn't fly to Spain, and I haven't run another marathon. Another lesson learned. The CrossFit Open runs from the end of February to the end of March. I'm now preparing to do as well as I can. Will I run another marathon? Maybe... I haven't yet settled on the specifics, but in 2018 I will definitely continue along the journey to get super fit. I had 17 minutes until my train departed, so I went to the bookstore on the station concourse and began browsing. I've seen two authors, whose previous works I've read and enjoyed, advertised on the Underground recently, Arundhati Roy and Zadie Smith. So I thought I'd have a look at their latest creations. But quite quickly I picked up Christopher Berry-Dee's Talking with Psychopaths and Savages. Something about the cover grabbed me: maybe it was the sub-title A journey into the evil mind, or the sub-sub-title A chilling study of the most cold-blooded, manipulative people on planet earth. She can't possibly be in this. Can she? As I scanned the shelf for a second title, the shop assistant asked: "Are you looking for something similar to that one?" and quickly we were engaged in a conversation. We discussed authors and genres, and she even read out an extract from a novel. Then she suggested the Pulitzer Prize-winning The Brief Wondrous Life of Oscar Wao, one of the most enjoyable novels that I've read in the past five years. 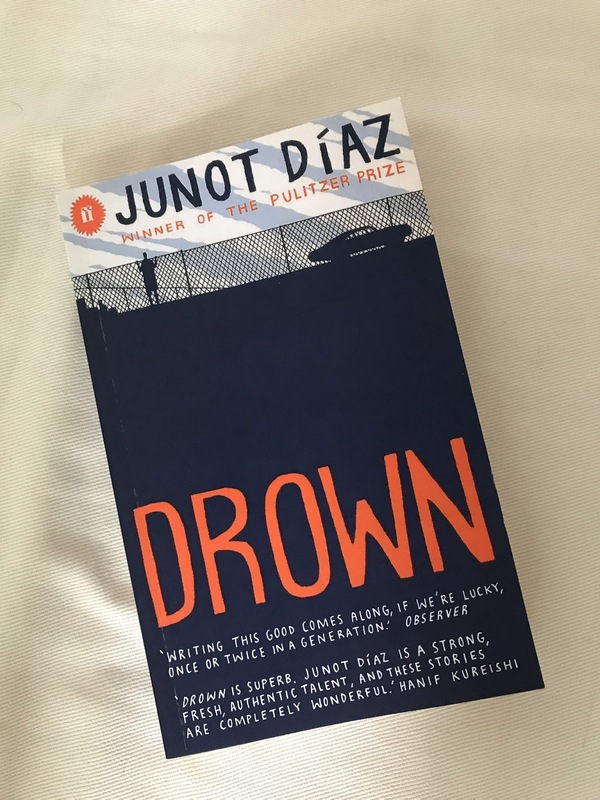 She hadn't like Junot Diaz's later work This is how you lose her, which I thought was also insightful and entertaining, but she recommended nevertheless Drown, a collection of short stories that pre-dates both. I paid and ran for my train, hopping on as the doors closed. The conversation I had on that day in that store with that woman is different to the conversation I had on a different day, in another store with a man. They are human and have the qualities that are uniquely human, each time distinct, yet familiar. Today, AI can't replicate this: your voice assistant doesn't even get close. And I don't want it to. I don't want a machine to do this human thing: I don't want Blade Runner. But I do want it. One time: "What's your favourite book? ", she asked. "The Hobbit", I conceded, a little coy. Alternatively: "Do you have The Sellout? ", I enquired. "We've sold out, I'm afraid", he replied, suppressing a snicker. And most recently: "I could swear that horse had a name", she said as I approached the counter. "What do you think was the horse's name?" "Bob", she suggested. Are you enriching human interaction and experience, or chipping away at it? And as for those books? Psychopaths I found deadly dull; but Drown buoyed me up again. The FT asks the question this morning and gives a summary of the debate: http://on.ft.com/1V5PqT8 It seems to me, however, that both sides of the table have it slightly off. Taking the example of the husband and wife at a party, saying that one of them wants to leave the party early because they're an introvert is the wrong way to look at it. 'Introvert' is merely the tag you give someone who wants to leave a party early. So explaining the behaviour as the outcome of the tag is simply saying 'you want to leave the party early because you want to leave the party early'. Nevertheless, that does have its uses. Once you begin to pay attention to personality types, you are, in fact, paying attention to personality, thereby accepting certain aspects of personality, which might include wanting to leave the party early. Accepting differences in personality, even if by the proxy of artificial personality types, can result in negotiating compromises, hence more effective relationships. In sum, using structures can help to understand differences in behaviour, thereby assisting in developing better relationships. But it's vital to avoid placing undue emphasis on the descriptor, and drawing superficial conclusions that stereotype, otherwise you miss the point, which is to better relate to each individual.